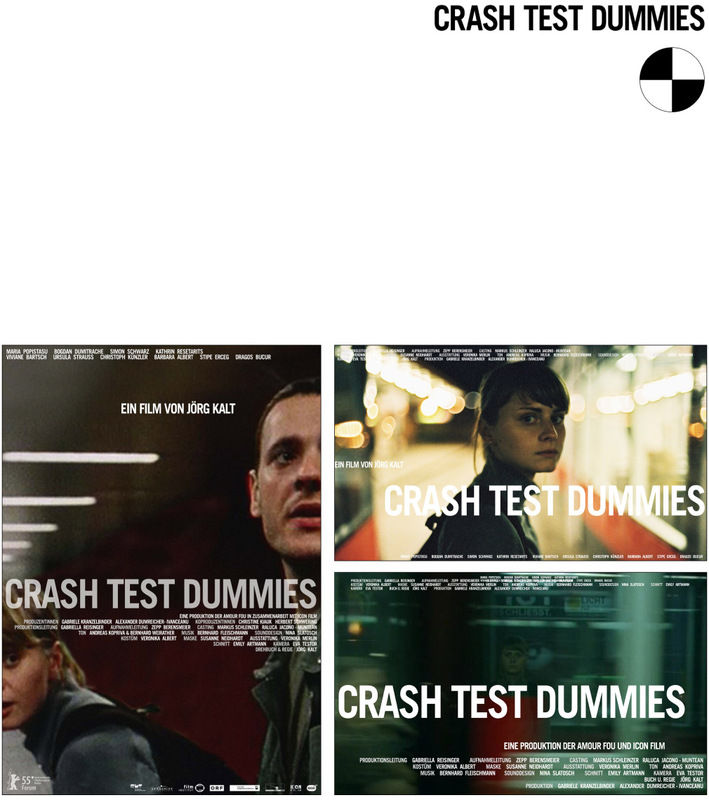 ‘Crash Test Dummies’ is a kind of road movie. The protagonists come from east Europe to a Vienna to pick up a car. Yet it doesn’t work out and they have to stay there without money, finding a way to return home. The title sequence starts with a ‘subjective’ bus drive into the city, accompanied by an Eels song, the credits move with the bus into the city. 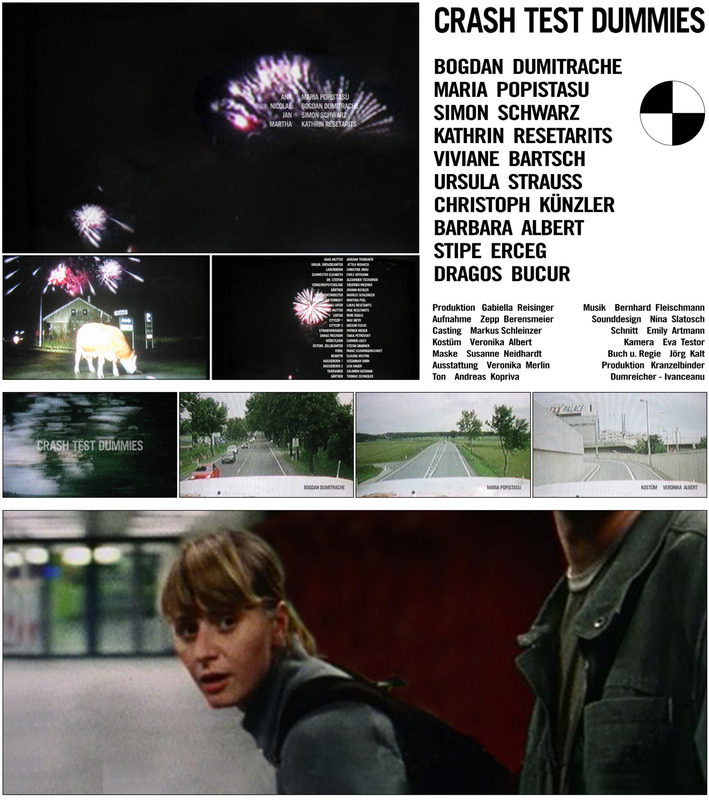 The last scene is the protagonists’ return home, at the border of their country they see fireworks. The closing credits appear in the fireworks accompanied by a powerful eastern European song. For ‘Crash Test Dummies’ we did also proposals for the publicity material, but did not get the job.